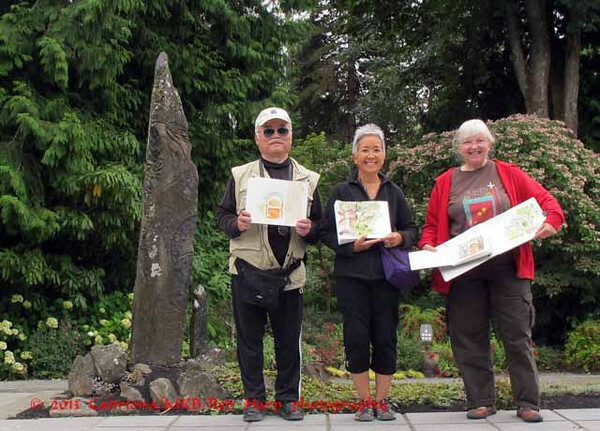 A few of us met today at Bellevue Botanical Garden. 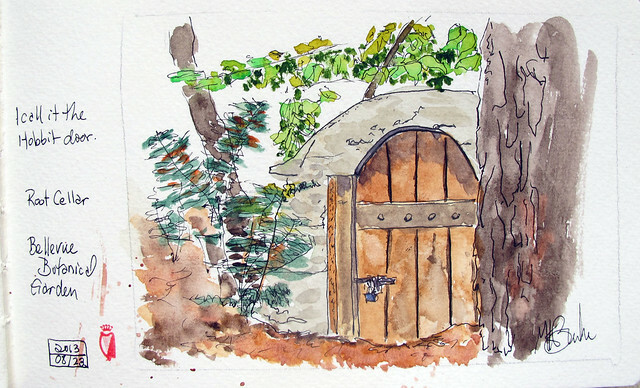 I'd been there a year ago or so and knew exactly what I wanted to sketch first: what I call the Hobbit door. The garden was originally a house and grounds belonging to a family. This door was to have led to a root cellar but I was told it proved too damp. The door is about 3 feet high and is down the hill, some distance from the home (which is now the Visitor's Center). 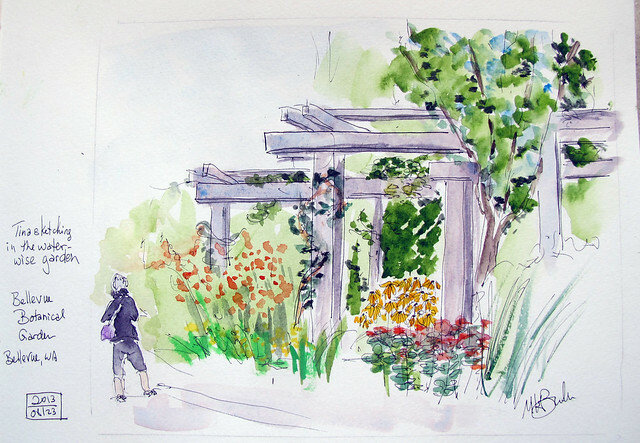 I still had about an hour, so I went back up to the visitor center to sketch the water wise garden and its structure. I also added Tina as she sketched the flowers on a bush. 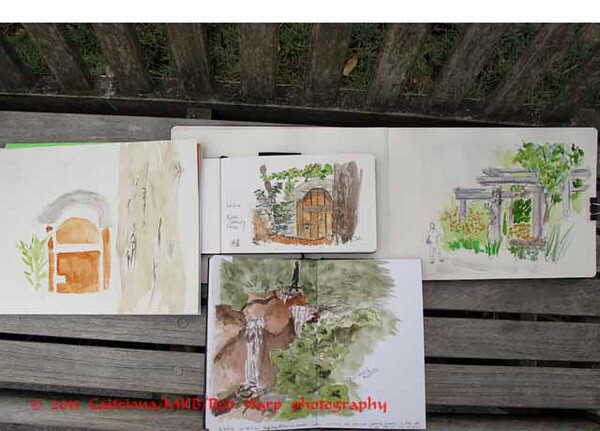 Great sketches, Kate! Especially love your "Hobbit Door." Makes you want to go right there and explore!